This state-of-art machine is very effective if you aim to train your glutes, hamstrings, quadriceps and calves by pushing weights using your legs. 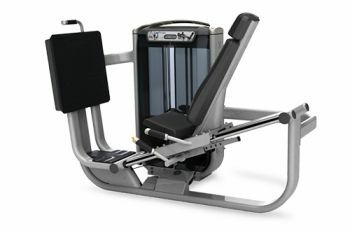 The machine has an angled and adjustable seat carriage that provides greater user comfort and a footplate that identifies user foot position with unique visual indicators. You can track your progress using the electronic counter which displays repetitions, exercise time and rest time.